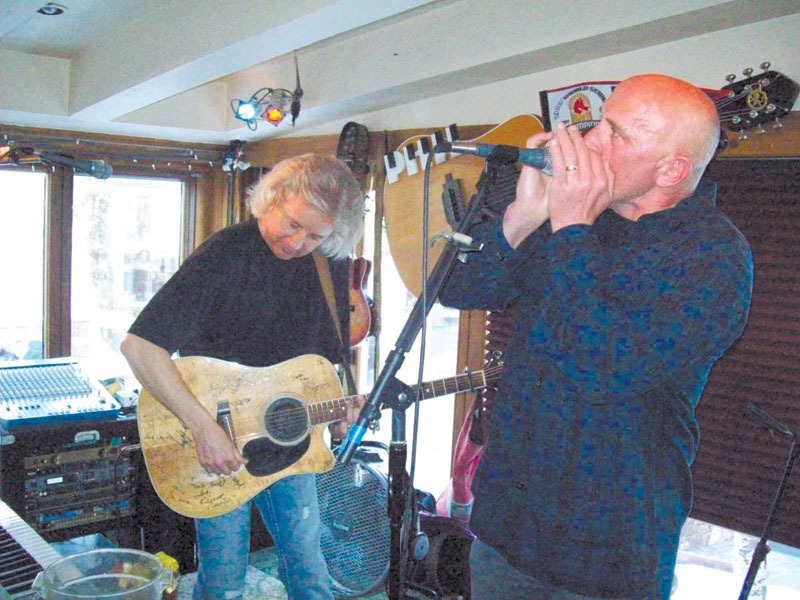 VAIL, Colorado – It’s a typical night at The Red Lion and the staff prepares for a musical road trip organized by Phil Long, co-owner and musical maestro. The unique journey will be fueled by guitar strings, piano keys, and laughter in a vehicle packed with enthusiastic patrons including brown-eyed girls from Ft. Collins as well as destination skiers from Michigan. It features unexpected volunteer participation by hitchhikers (some that are very well-known) having played with him at one time or another over the years. One special night there included almost every entertainer in the valley along with Long and Edwin McCain in a standing-room only appearance. For 23 years Long has entertained thousands of people with a hybrid arrangement of oldies and contemporary songs along with a special comedy shtick. The latest has to do with his hair – originally curly, Long has developed a coif that he himself admits would have made him a superstar if he had just had it when he started. Then he revs up a selection of popular songs, many of which inspire all to sing along. Customers often take “Long” shots by pitching folded dollar bills into a large tip jar while a never-ending procession of great songs drives many to jump up and start dancing. Long is a master of the musical “pause” – interrupting a song to inject a bit of humor before continuing on. But there are other, sometimes unplanned pauses as well, when Long goes from one customer to another during breaks to express his gratitude. The Red Lion, built in 1963, was Vail’s first free-standing restaurant. It has been a tradition for both locals and visitors who enjoy the family atmosphere and great entertainment. While traveling it is wonderful to find a rest stop where everyone can have fun and, for a few hours, leave their troubles behind.